Have you ever asked the question. Why me? Have you ever asked the question. How did I get here? Many of us live our lives in regret. Pondering the should’ve, could’ve, would’ve. Beating ourselves up over the decisions we made, and the pains we endured. Life has rained emotional drops; fear, failure, molestation, abuse, neglect, abandonment, low self esteem, depression, anxiety and loneliness. All of these drops of emotional saturation was apart of God’s purpose for your life. In this book you will meet Alyssa. After dealing with an hurtful death of her father. Having been told that she was unattractive, she looked to find her inner beauty. She was introduced to Summer, the exotic dancer within her. She fulfilled fantasy for others, and yet held up her own dreams. She endured the pain of living in the shadows of who she created. Her journey may be your journey, you may have lost your purpose living in the shadows of a created reality, that you no longer dream, you no longer expect greater. 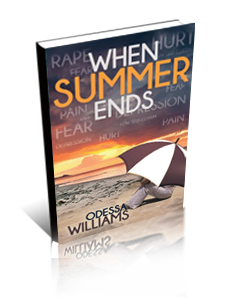 The journey in this book in the life of Summer will show us, that season change. Summer has ended, the chapter of life is over. After the hurt and pain, the season changes. Summer gave her life to God, and put him first, she rose from the stage not to satisfy anyone, but God. Summer is that person that lived without knowing there purpose, and can rise from the ruins of your past and start over again. In this new season, that unattractive exotic dancer is now the owner of her own business. New season, fresh starts.